About Cleveland Environmental Portrait Photographer, Sussex Studios-- Spectacularly capturing Portraits through vivid imagery. Spectacularly capturing the Portraits through vivid imagery. Sussex Studios specializes in people photography: Candidly capturing the nuances. Blending fashion photography and photojournalism. Creating B&W and color imagery. Simplifying the process through Online ordering & previewing. Offering customized services that you would like. Emphasizing the important thing-- to have awesome portrait photography coverage. This Studio is based in Cleveland, OH but travels across the country for events. John Kieger is the principal with Sussex Studios. He has over twenty years of professional photographic experience and specializes in location photography for people, places, & products. 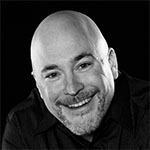 He has Commercial and Editorial photographic expertise and has had his photographs published in The New York Times, Business Week, The Boston Globe and his list of Commercial clients include: Avery Dennison, Aramark, Bank Investment Marketing, Cargill Salt, National City Corpotation, Network World, Prudential Insurance of America, Thomson Media, Xerox. John captures the magical moments in the natural environment in which life unfolds! "We specialize in candid reportage photography while still having the expertise to properly pose formals. It makes it real easy to work with us, since we offer on-line ordering & viewing of photos. Anyone with Internet access has access to our services." Please Call or e-mail today so that we can arrange a portrait consultation.